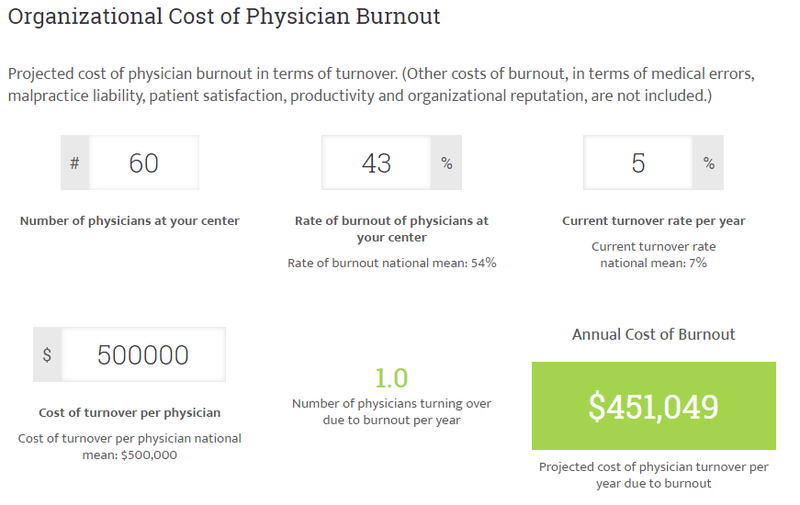 Burnout has a dollar figure: medical errors, patient satisfaction, loss of productivity, and reputation and malpractice suits are all the downstream effects of wornout clinicians. While projecting these costs are completely a crap-shot, the cost of physician turnover is relatively easy to project. Based on the research of Cathrine Sinsky, MD, Tait Shanafelt MD, et al, the American Medical Association has created an easy to use tool so you can make the case to the C-Suite that organizational changes have to be made.